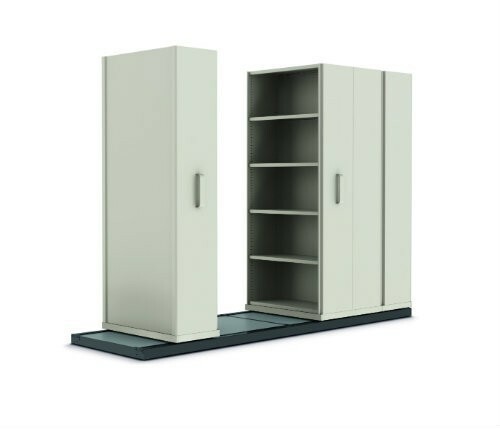 Premier Compactus styled mobile shelving system represents the ultimate high density mobile storage unit. The Aislesaver shelving system can be easily relocated to suit changing office layouts, shelves are easy to adjust and bays are available in a variety of heights and widths. This system is ideal for storing heavy loads that need to be accessed often and easily. The system is designed to sit on top of a level carpet or flooring.